And we could see it break cover in just a few weeks. Alfa Romeo currently only sells three models in the US: the 4C Spider, the Giulia sedan, and the Stelvio mid-sized SUV. You can probably guess which one of those models is the brand’s best seller in the US. Alfa Romeo knows it needs to cash in on the crossover craze to be successful in the US, which is why the company already has two more crossovers in the pipeline. One will be a small SUV slotted below the Stelvio, while the other will be a larger model positioned above it. The Stelvio will also get a mid-cycle refresh by 2022 along with a long-wheelbase version offering extra rear legroom. According to Autoblog.gr, Alfa Romeo’s new compact crossover will make its world debut at the 2019 Geneva Motor Show next month. Citing trusted sources, the publication claims that the unnamed compact crossover will ride on the same platform as the Jeep Renegade rather than on a downsized version of the Giorgio architecture that underpins the Giulia sedan and the Stelvio. Production will take place at Alfa Romeo’s Pomigliano plant in Italy. 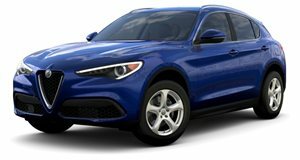 A plug-in hybrid version of the Alfa Romeo compact crossover is also said to be in the works, which will make up one of six plug-in-hybrids launching by 2022. Being based on the same platform as the Jeep Renegade and Fiat 500X, we can also expect Alfa Romeo’s new compact crossover to be offered with front- and all-wheel-drive. With the 2019 Geneva Motor Show now only a couple of weeks away, we should see some teaser photos of Alfa Romeo’s new crossover released very soon. It could also be fully revealed online before the Geneva Motor Show opens its doors to the media on March 5. Don’t think Alfa Romeo is only focusing on crossovers, however, as the automaker is also planning to revive the GTV coupe and 8C supercar by 2022.